By the middle of the eleventh century, Earl Godwine might have seemed pretty much at the height of his power. His daughter was married to King Edward, Godwine himself held the most important Earldom in England and his second son Harold was Earl of East Anglia. He had more strapping sons awaiting their turn for the next vacant earldoms. But on closer inspection, things were not quite right. By 1051, it was apparent that Queen Edith was not likely to give birth to an heir, thus reducing her own and Godwine’s influence. 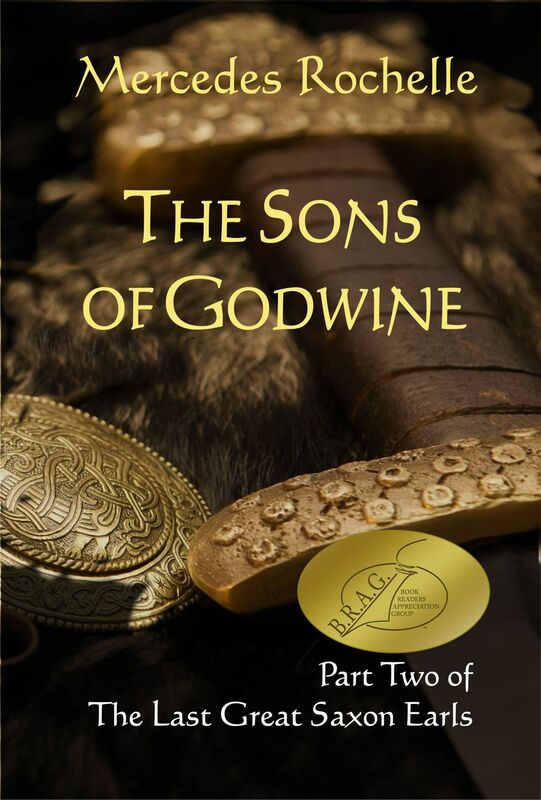 Swegn, Godwine’s eldest son, had shamed the family by his outrageous behavior, then committed the heinous crime of murdering his own cousin. And to make matters worse, King Edward was surrounding himself with powerful Norman allies and churchmen. This culminated in the appointment of Robert of Jumieges as Archbishop of Canterbury against Godwine’s and the local monks’ approved choice. Archbishop Robert immediately launched into a campaign against Godwine, accusing him of stealing church property. Then he moved onto the old accusation of Godwine’s alleged role in the tragic death of the King’s brother Alfred. It didn’t take much to stir up Edward’s simmering resentment. 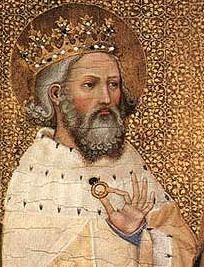 Things came to a head when Eustace, Count of Boulogne, visited King Edward in September, 1051. On his return trip, he and his men attempted to force the residents of Dover to give them lodging in their homes, just as they were used to in their native country. The stout Dover townsmen resisted, one was killed in his home, a Frenchman was killed in return, and the intruders mounted their steeds and plunged through the town, slashing and maiming whoever got in their way. The townspeople resisted, turning the incident into a full-fledged skirmish. When all was done twenty English and nineteen Frenchmen lay dead on the streets. Eustace turned around at full gallop and took his remaining men back to King Edward at Gloucester, demanding justice. Enraged, the King summoned Earl Godwine and insisted that he immediately chastise the offending town with fire and sword. This was putting the king above the law, and Godwine refused, insisting on a full trial. Then, having had his say, he retreated to his estate, leaving the King securely in the hands of the Normans. It didn’t take long before Godwine’s refusal to obey the King was construed as traitorous. One thing led to another, and by the end of the month the tide was turning against Godwine. Edward summoned the other great earls of the land to support him against Godwine’s family; ultimately the King commanded Godwine and Harold to appear and answer charges. 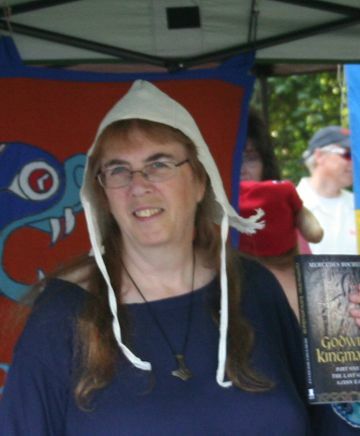 Godwine only agreed to do so if the King issued a safe-conduct. Edward refused. Godwine knew there was no hope for his cause, at least for the moment. He had apparently been preparing for such an eventuality, because much of his treasure had already been loaded on a ship, and he quickly left the country along with most of his family. 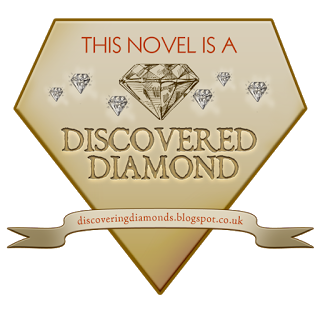 Their destination was Flanders, a common refuge for English exiles and home of Count Baldwin, brother of Tostig’s new bride. On a different ship, Harold and his younger brother Leofwine took sail for Ireland, where they were well-received by Dermot, King of Dublin and Leinster. Poor Queen Edith, caught between father and husband, was quickly trundled off to a convent and deprived of all her goods, real and personal. Did Edward think this was going to be permanent? Elated at his successful coup, apparently he wanted to make the most of it. But his freedom from Godwine was destined not to last. ← Swegn Godwineson, Evil or Tragic? I just found this website and I’m impressed with your work, Mercedes. I’ve only been to Britain once but being from Canada, have always looked at the history, especially in this era, with much interest. I always wonder if there was another angle behind both Count Eustace’s and Duke William’s rapid visits to Edward in England- one to engineer Godwin’s exile and the other so soon after the Godwinson family’s exile in August/September 1051? 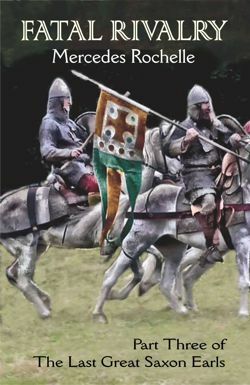 Both of these powerful neighbouring men were never friends, although Eustace was nominally a vassal of William’s after the revolt of William’s own uncles in 1051-2/3. William’s visit was as mysterious as Eustace’s in 1051, although the latter was probably trying to claim Dover as a cross-Channel base to strengthen his domain, whilst the former was alledgedly aiming at the English crown? I figured that William was more interested in grasping at Dover than Eustace, since he attempted to coerce Harold into holding it for him. Wasn’t Eustace’s clash with Dover more of an inevitability rather than forethought, since Dover was naturally in the crossfire, so to speak? I think Eustace was merely disgruntled at his ‘meagre’ share of the 1066 spoils, as a non-Norman and as a noble who perhaps had more royal lineage and blood than his ‘master’? 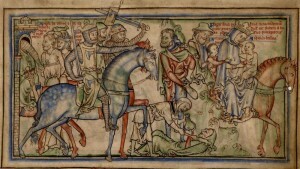 His link with Dover in 1051 – in which he had an armed tussle with locals (to stir up Godwin? 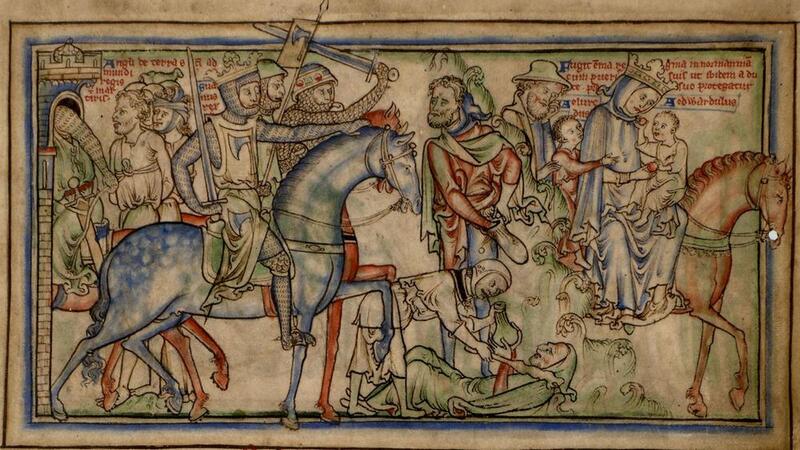 )- did precede William’s though, and in 1067 Eustace was trying to free his ‘nepos’ (kinsman- nephew?) from the then-absent Odo’s Dover castle.